Limoges Lovers is your source to fine hand painted Limoges porcelain. We have an assortment of exquisite Limoges pieces in excellent condition. Please choose one of the categories below to find the limoges porcelain you are looking for. Gift Certificates and Lay-a-ways are available. There are many types of Limoges Porcelain products. 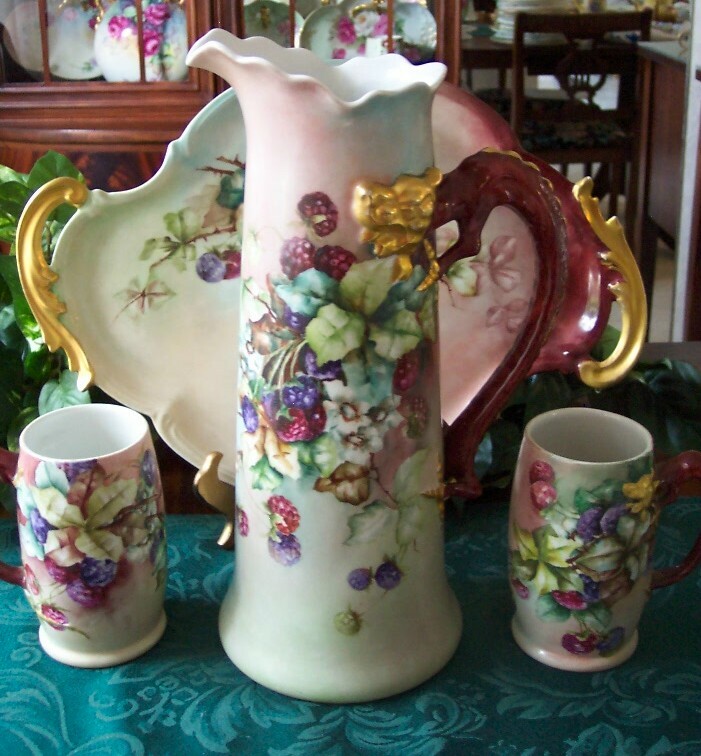 Limoges Lovers focuses on quality hand painted collectable pieces in excellent condition. We do not sell Limoges boxes or Limoges produced by today's manufacturers. Our inventory primarily consists of pieces produced between the 1800's and the early 1930's many with artist signatures. For more information visit our History of Limoges page. If you are looking for a something specific, login or create an account and use your watched items feature.